There's nothing like getting your heart pumping to an intense, beat-dropping EDM song in the summer. The sun is shining, the beach is calling your name, and the music makes you feel both hot and cool at the same time. 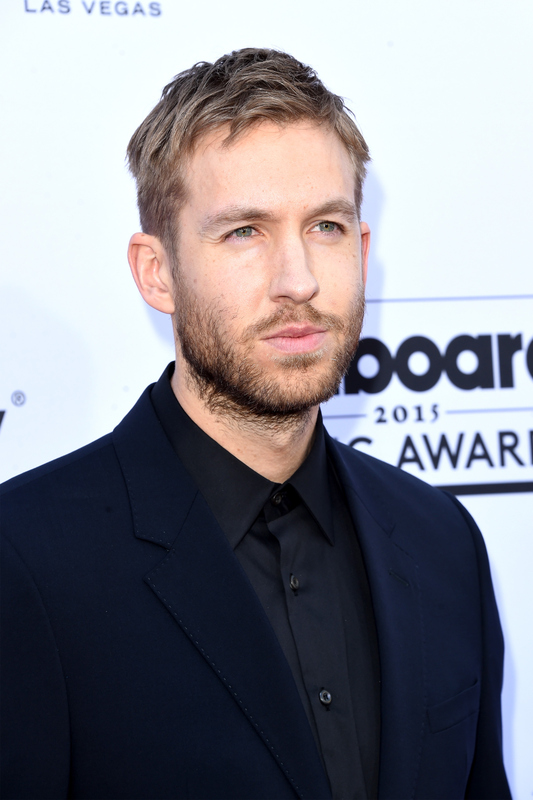 I've decided to compile the best EDM songs perfect for the summer, because while I do love the Calvin Harris tune "Summer" from 2014, the music genre — and Harris — have so many other tracks out there to rock out to during your poolside parties. EDM has its roots in disco music and, in 1979, Lou Reed told New York's WPIX this about the genre: "I like mindless disco... they say the lyrics are stupid and repetitious. So what’s wrong with that? So is lying in the sun. Not everything has to be serious." Sounds like the rocker would agree that synths, rapid BPMs, and drum patterns are perfect for the warmer temperatures. And not all electronic dance music is filled with wild, raucous beats either — a subgenre called tropical house has become a thing this year, thanks to DJ Thomas Jack. "One of my mates told me to label my music under a genre," he told the blog This Song Is Sick. "I loved summer vibes and the beach so I thought tropical house would be a cool name." It wouldn't be a list about summer EDM songs without this one by Taylor Swift's beau. The song's name positioned it well to become 2014's song of the summer, but it didn't quite happen like that for the Scottish DJ. Here's hoping it eventually becomes a summer song staple, just like Will Smith and DJ Jazzy Jeff's classic "Summertime." I have a soft spot for this song, since it's one of the very first tunes that introduced me to the wonders of EDM back in the late 90s. Funkstar De Luxe takes this mild Marley track and gives it some summer party vibes with awesome beats. If you haven't heard this song, press play above right now. Kygo is one of the hottest EDM DJs of 2015 and totally killed it at Coachella with this track. It's the epitome of tropical house, although sadly it's not the song that most people know from the genre; that would be the very catchy Diplo, Skrillex, and Justin Bieber collab "Where R U Now." No matter what, "Firestone" is perfect for some chillout time by the pool. There's a certain fun bounciness to this track coupled with an intense beat. The verses ask, "Are you having fun?" and the beat that drops says, "You better be." Like Avicii's "Levels," this tune has been remade with vocals several times — Chris Brown's "Five More Hours" and DyCy's "Don't Hold Me Back" — but none really top the high-energy power of the base track's hard-hitting synth beats. Released in 2013, I always wished this song was a better hit and Romero was a more well-known DJ. The music video has a great get-away-from-it-all theme to support the tune's triumphant synths and Swedish singer Noonie Bao's emotional pleas of "I could be the one to make you feel that way / I could be the one to set you free." And summer is all about being free. Yup, those stripped down vocals are really by the legendary Tom Jones. But what actually takes center stage in this 2006 track is Chicane's playful and carefree sunny beats in the backdrop of lyrics about starting over after a breakup. "If we could wash the past away / Would we go our separate ways / Or do it all again? As if I care," Jones croons. This track wastes no time, opening with the lyrics: "Hit me up in the summertime, when the length of your skirt is just right." The light drums from this indie electronic band as just as casual as its hookup request in the lyrics, giving it some legit carefree summer vibes. Just like the high from a delightful summer fling, Channing croons about a love that seems to make everything magical. "I'm glidin' in the beautiful sky, it's such a clear day," the musician sings against Benassi's intense, yet ethereal beats. "Go ridin' in your sweet lullabies, come fly away." Here's one more chillout song, which has soothing drums and synths that'll remind you of, well, the waves of the ocean. Singer Mr. Proz's original yearning lyrics will make you too want to drift away with this tropical house remix. Next time you're tanning at the beach or dancing in a club, make sure to play a few of these hits to make the ultimate summer party.